Join us for Canopy Happy Hour and discussions at CanopyHQ in downtown Boulder. We meet up to discuss innovation and entrepreneurship in the cannabis industry, creating community and connection among the Denver-Boulder cannabis contingent. We will have 45 min of networking followed by talks from some of the industry experts. Whether you're involved in marijuana business, the tech and startup communities, or are simply canna-curious, join us and meet the people who are pioneering this fast-growing industry! This month, we'll be focusing on valuations and exits in the cannabis industry. 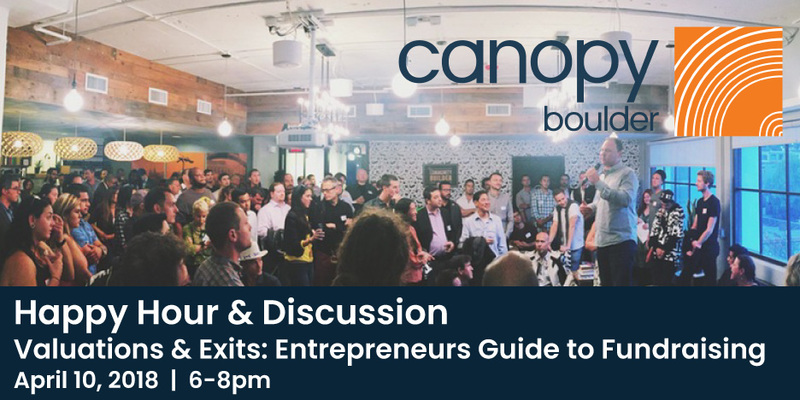 We'll have a panel of pros talk to us about how to value your start-up and options and best practices for exits. This event is free, but we will be accepting cash donations for MPP at the door On our Panel David Traylor of Golden Eagle Partners: Senior Managing Director at Golden Eagle Partners, a firm he founded in 2012 to advise life science companies. Golden Eagle Partners is a leading specialty boutique investment bank serving public and private companies, venture firms, family offices, sophisticated investors and entrepreneurs in the Life Science and Cannabis/ Marijuana sectors. We are one of only a few investment banks servicing these sectors and are uniquely qualified by having operational experience in both sectors. We have broad experience across financing, M&A and strategic transactions.